1.The SNOW WHITE Ⅱ studdable tire is a premium product, the user can use according to their demand for studded tires, provides superior pavement performance. 2. 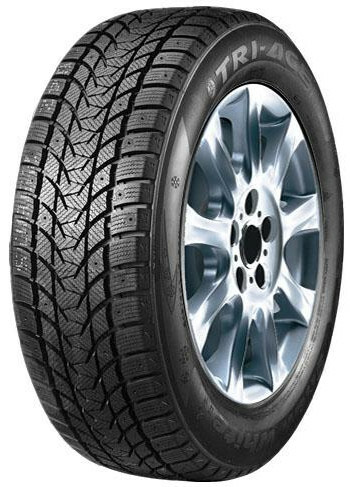 Winter tires special rubber formula, in a low temperature environment the tread remains soft and elastic, ensuring tire grip in ice and snow conditions. 3. Dense wave-shaped slot, maintains a good grip on the ice. 4. Curved lateral grooves, extending zigzag grooves plus shoulder provides stronger snow traction. 5. Strengthening the groove block, increases the tire to ground contact area with ice and snow, provides more stable control. 6. Smooth curved grooves extending from the tread center to the shoulder, provides excellent snow discharge and drainage performance. 7. The precise ratio ditch block design ensures consistent ground contact; the surface of the block and groove ratio improve steering stability and wear more evenly.